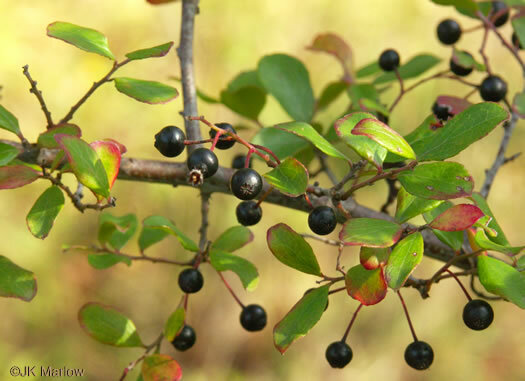 Your search found 69 image(s) illustrating the term "berry." 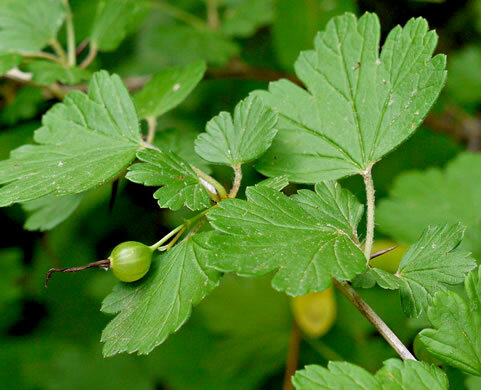 For a written explanation, click on "berry" in the Glossary. 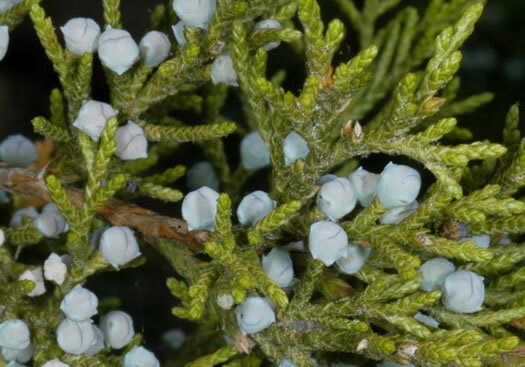 Mature seed cones ~ 1/4", berry-like, greenish-blue with whitish coating, per Native Trees of the Southeast, An Identification Guide. 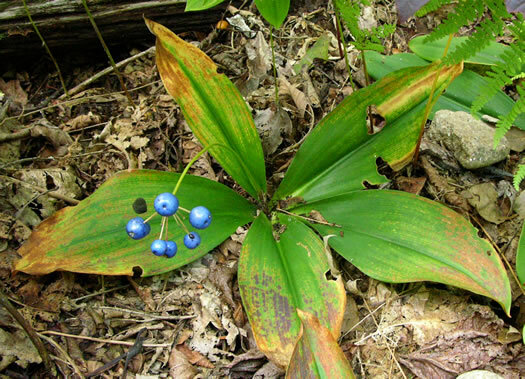 This northern bog sedge can be found in WV's Cranberry Glades and Dolly Sods, per Alpine South: Plants and Plant Communities of the High Elevations of the Southern Appalachians. 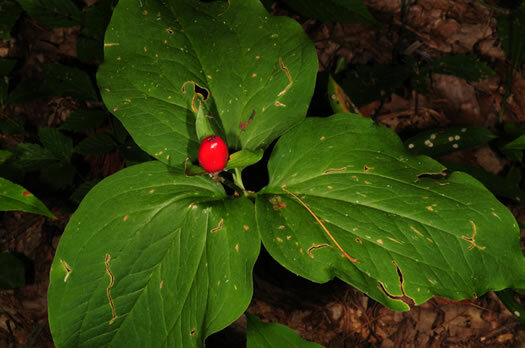 Berry bright red, ellipsoid or globose, 2-4 seeded, per Vascular Flora of the Carolinas. 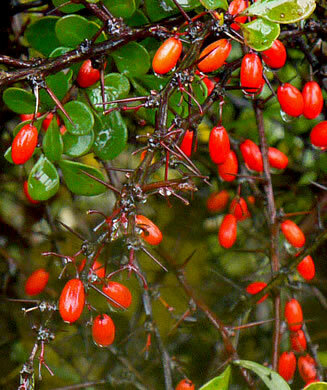 Berry bright red, ovoid, tapered to an obtuse beak, 1-seeded, per Vascular Flora of the Carolinas. 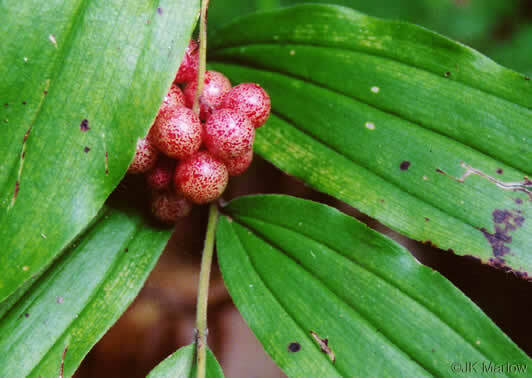 Berry scarlet, ovoid to ellipsoid, 1.2-2.2cm long, per Vascular Flora of the Carolinas. 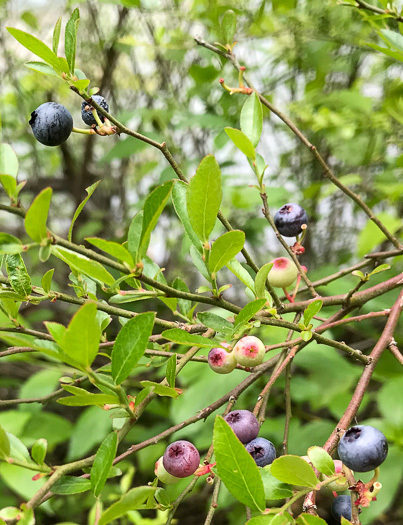 Fruit a bright blue ovoid berry, per Wildflowers & Plant Communities of the Southern Appalachian Mountains and Piedmont. 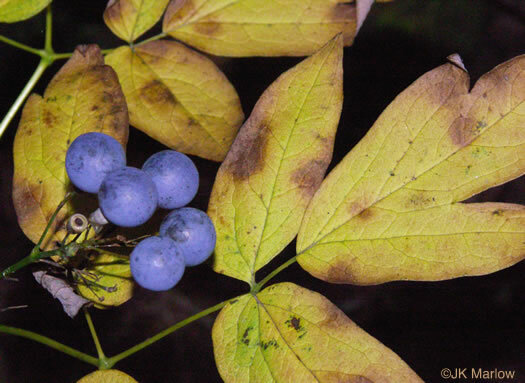 Berry blue or black, 6-8mm long, per Vascular Flora of the Carolinas. 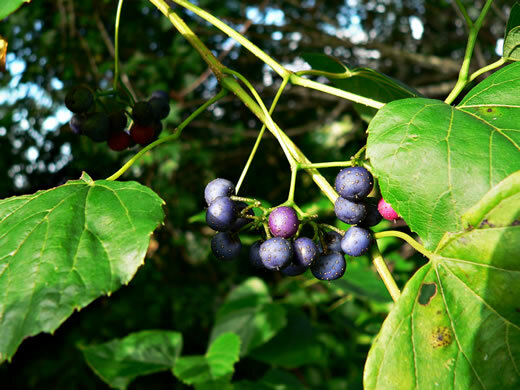 Fruit a multiple of drupes, resembling a blackberry, per Native Trees of the Southeast, An Identification Guide. 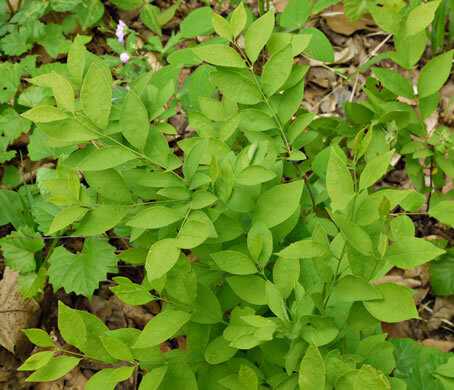 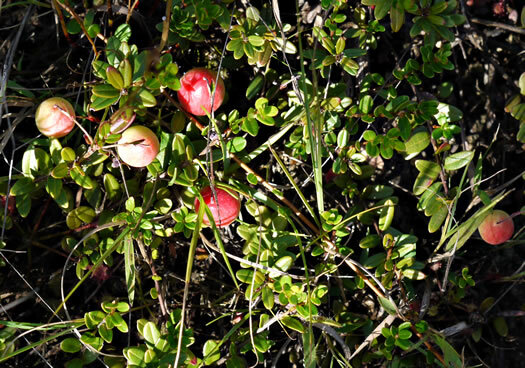 Resembling an opposite-leaved lowbush blueberry, per Weakley's Flora. 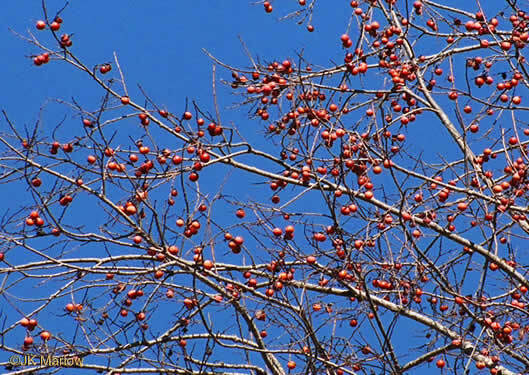 Fruit a pendant red berry, borne singly or 2-3 per cluster, per Woody Plants of the Blue Ridge. 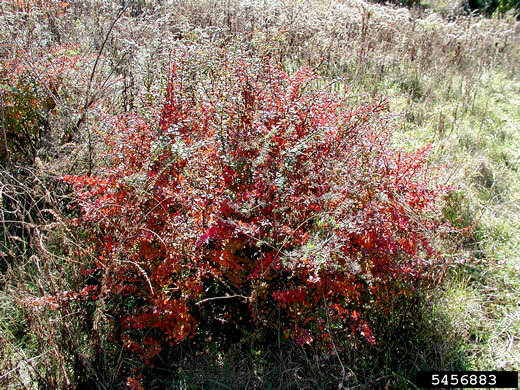 Most commonly encountered barberry in much of our area (immune to wheat rust), per Weakley's Flora. 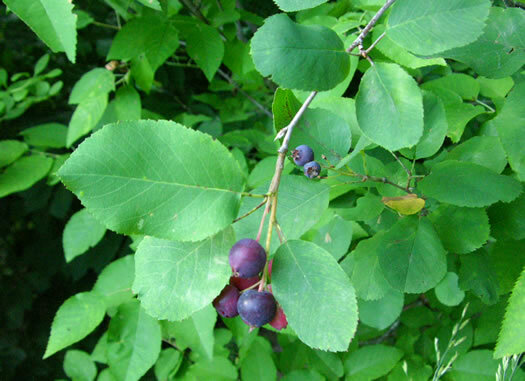 Fruit is a bluish berry maturing in July-August, per Manual of Woody Landscape Plants. 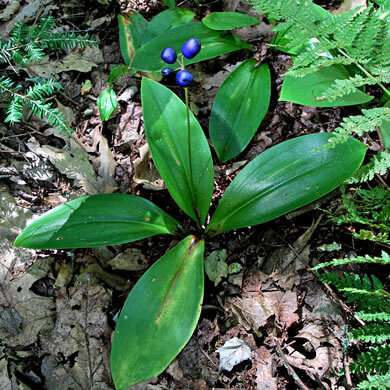 Fruits are dark blue, poisonous, and berry-like, per Wildflowers of Tennessee, the Ohio Valley, and the Southern Appalachians. 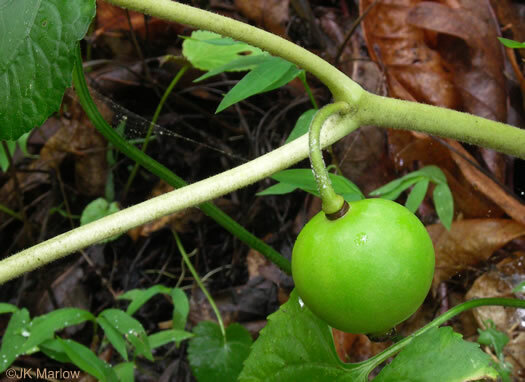 Fruit a hard-pulpy berry, oblong, greenish-yellow, aromatic when mature, per Forest Plants of the Southeast and Their Wildlife Uses. 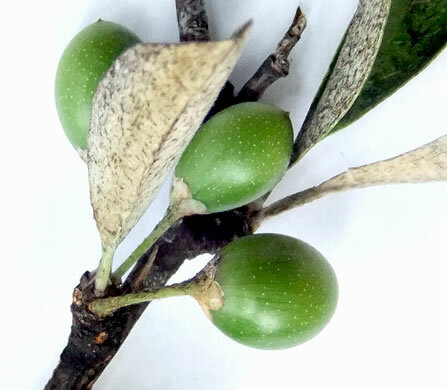 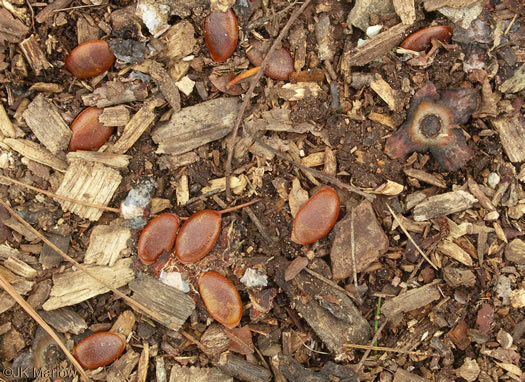 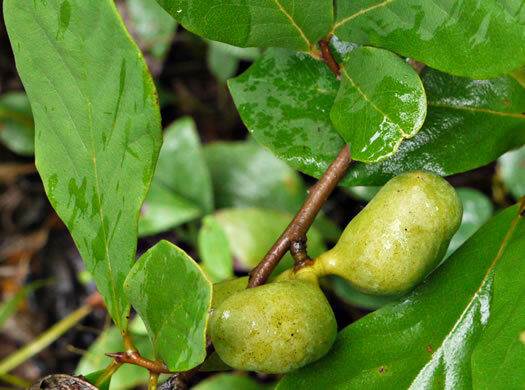 Berry smooth, glabrous, 8-12mm in diameter, per Vascular Flora of the Carolinas. 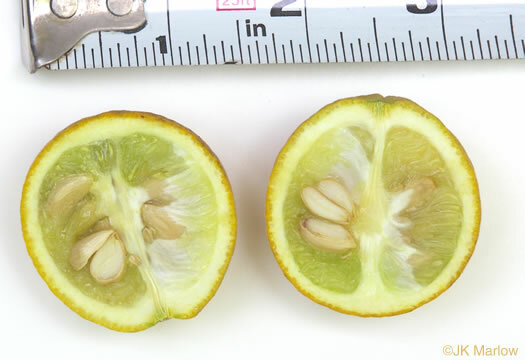 Berry densely glandular-spiny, ca. 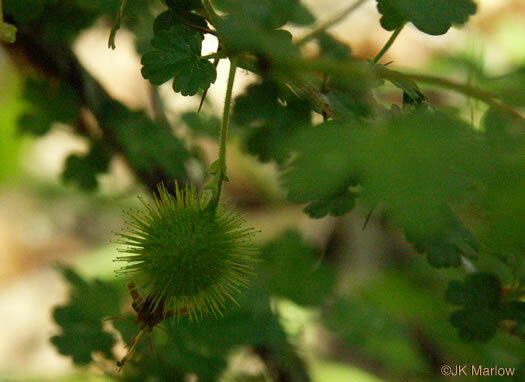 12mm in diameter, per Vascular Flora of the Carolinas. 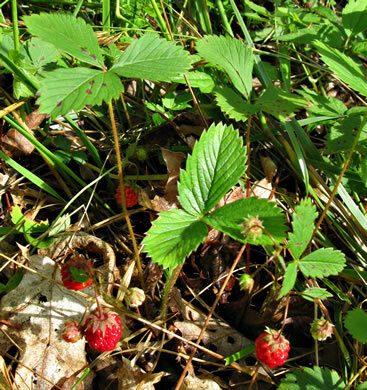 The strawberry (actually an enlarged receptacle) is dotted with achenes, per Wildflowers of Tennessee, the Ohio Valley, and the Southern Appalachians. 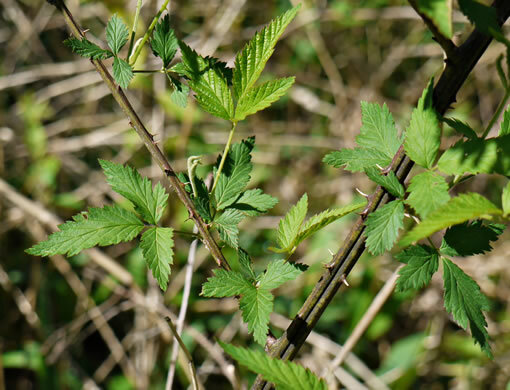 The most common "highbush" blackberry in most of our area, per Weakley's Flora. 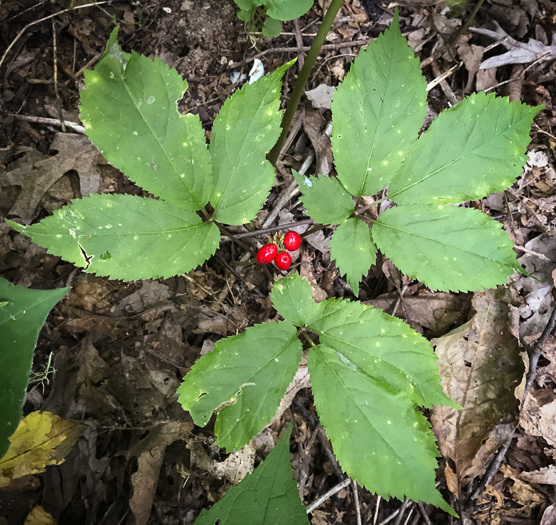 Blackberry (aggregate fruit of drupelets) bright red maturing to blue-black, per Forest Plants of the Southeast and Their Wildlife Uses. 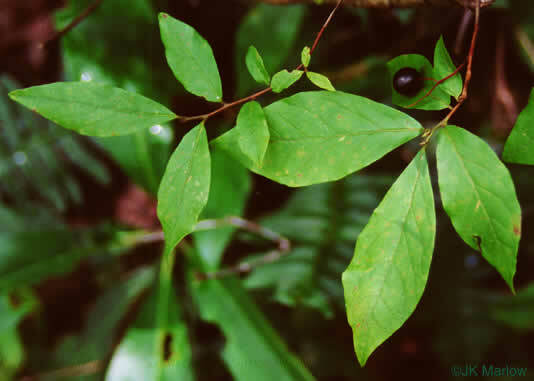 Leaves oval to suborbicular. 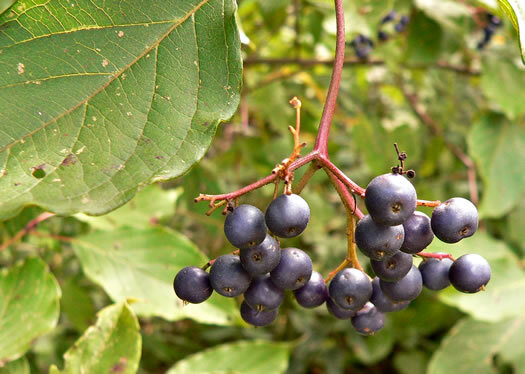 Fruit a berrylike pome, per Native Shrubs and Woody Vines of the Southeast. 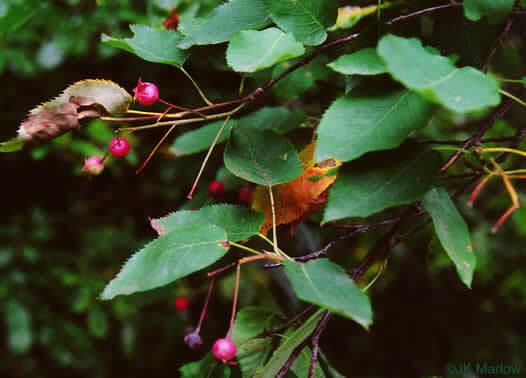 Cherry trees are copious berry producers whose fruits helps sustain birds, per Bringing Nature Home. 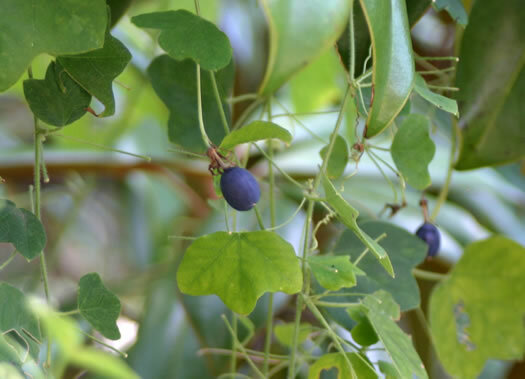 The fruit is a blue berry, not edible by humans, per Woody Plants of the Southeastern US: A Winter Guide. 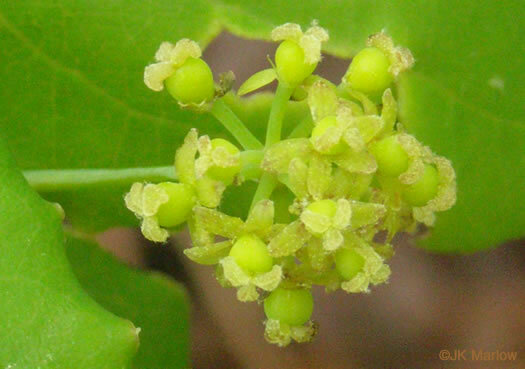 Fruit a yellow (green) edible berry, per Wildflowers of Tennessee. 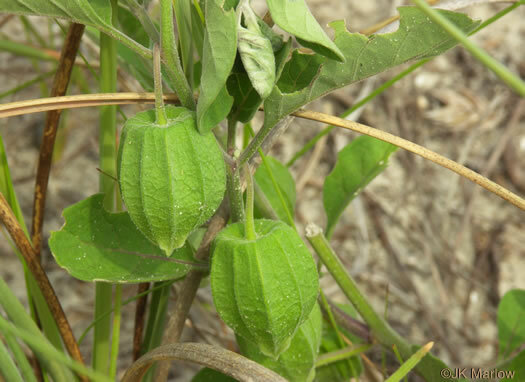 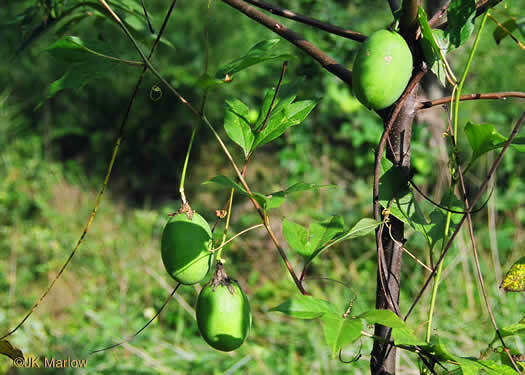 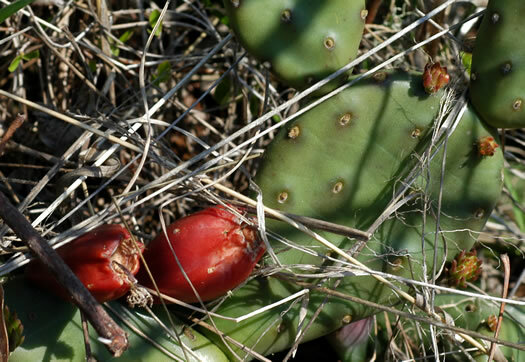 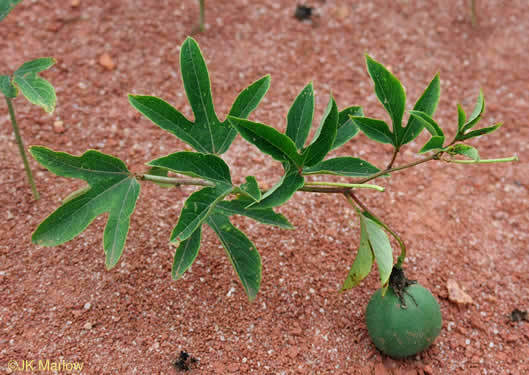 Fruit a large pod-like berry, ovoid, 4-6cm long, per Forest Plants of the Southeast and Their Wildlife Uses. 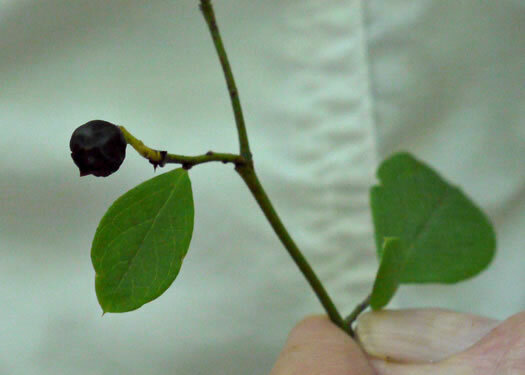 Berry black at maturity, 0.8-1.5cm long, per Forest Plants of the Southeast and Their Wildlife Uses. 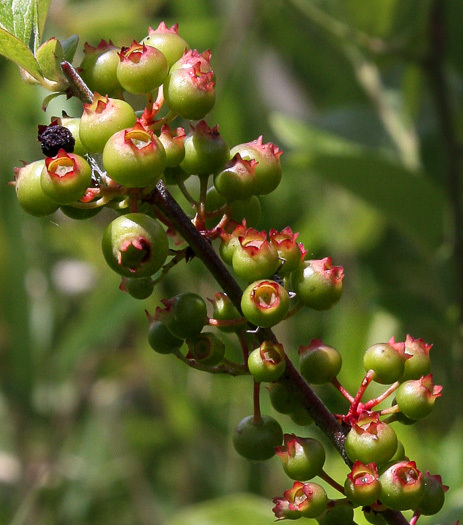 Fruit a shiny reddish-brown berry, edible after tiny spines are removed, per All About South Carolina Wildflowers. 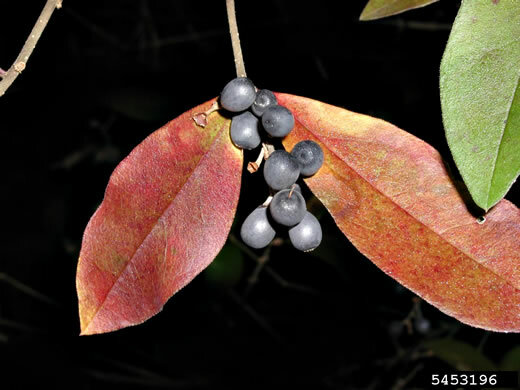 Fruit berrylike, borne in umbellate clusters, per Woody Plants of the Southeastern US: A Winter Guide. 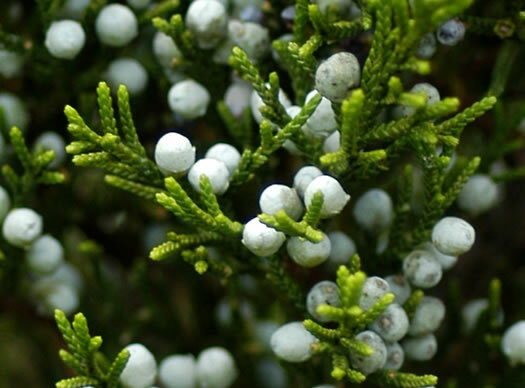 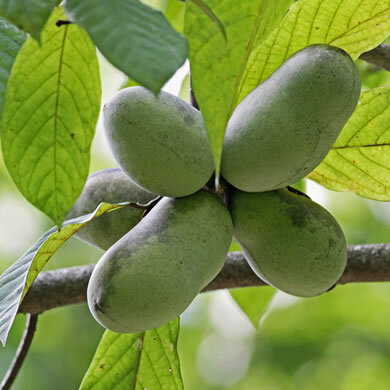 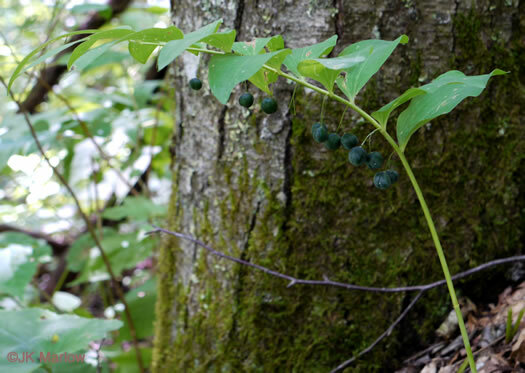 Fruit a berry-like drupe, bluish with white blotches, per Wildflowers & Plant Communities of the Southern Appalachian Mountains and Piedmont. 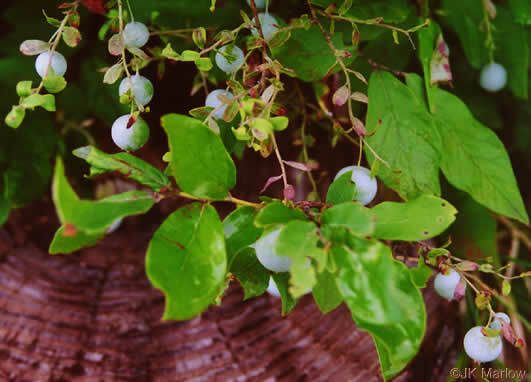 The fruit is a white berry with a wintergreen flavor, per Newcomb's Wildflower Guide. 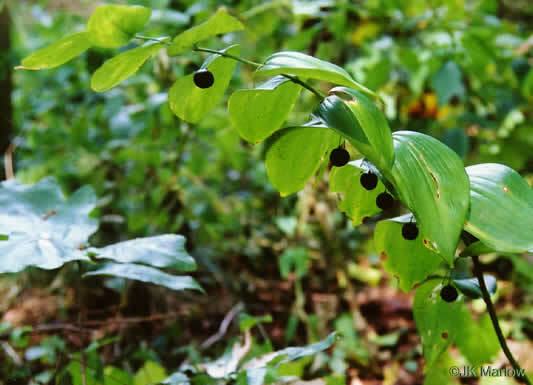 Fruit a 10-seeded berry on a long stalk, shiny black when ripe, per Woody Plants of the Blue Ridge. 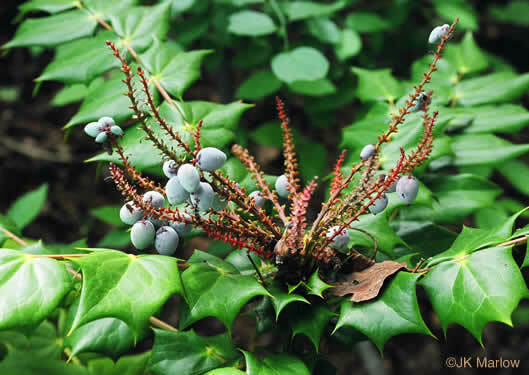 Berry green ripening to bluish-black to black, occasionally whitish waxy, per Forest Plants of the Southeast and Their Wildlife Uses. 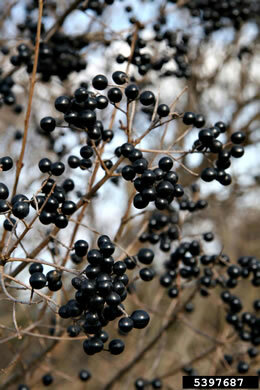 Berry 8-15mm, black, lustrous [when ripe], per Woody Plants of the Southeastern US: A Winter Guide. 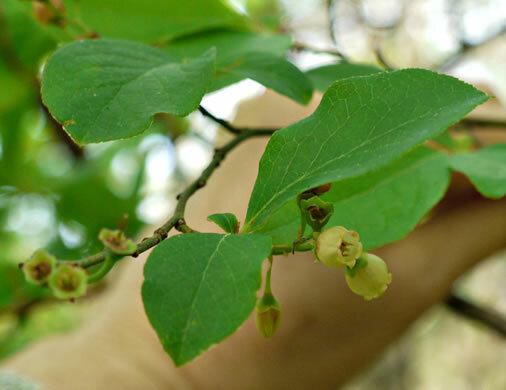 42 species of bees have been observed visiting highbush blueberry flowers, per Wildflowers & Plant Communities of the Southern Appalachian Mountains and Piedmont. 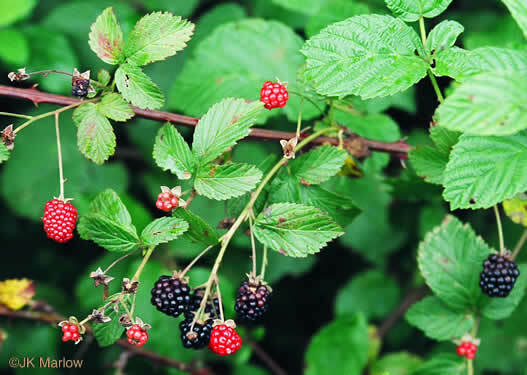 Fruit a many-seeded black berry, per Vascular Flora of the Carolinas. 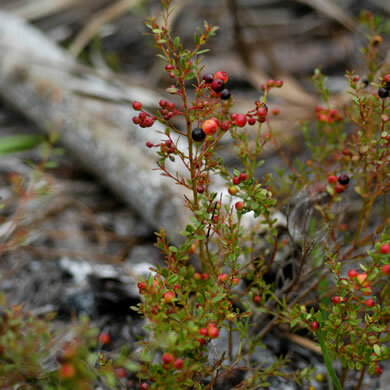 The same edible cranberry that's raised commercially in artificial bogs, per Weakley's Flora. 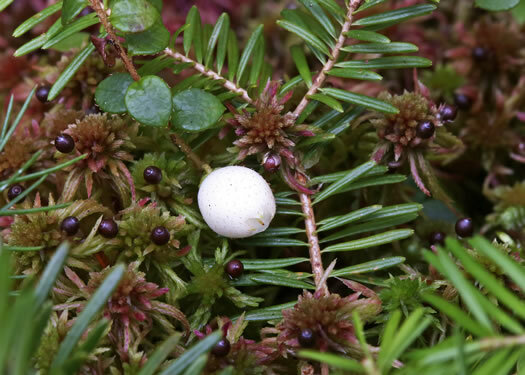 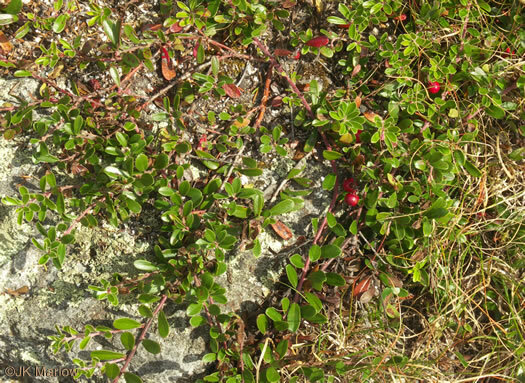 Bearberry is an attractive little ground-covering evergreen, per Field Guide to Acadia National Park by Russell D. Butcher. 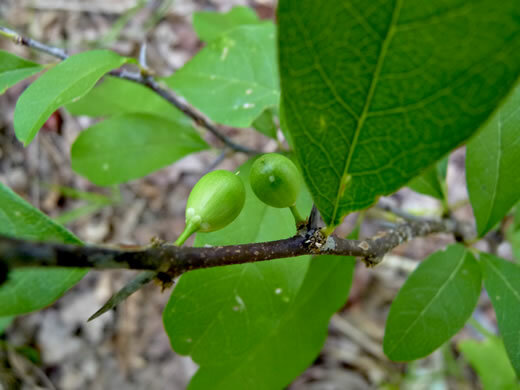 Fruit an ellipsoid drupe-like berry 6-10mm long, subtended by persistent calyx, per Vascular Flora of the Carolinas. 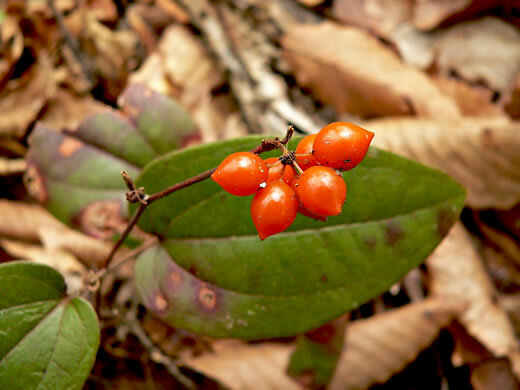 Three to eight large seeds per berry, per Vascular Flora of the Carolinas. 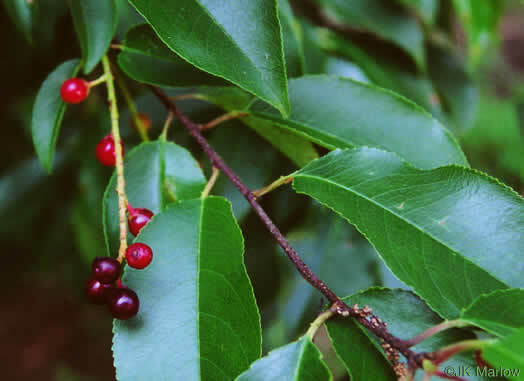 Fruit a berry 2-4cm wide, astringent until fully ripened on the branches, per Woody Plants of the Southeastern US: A Winter Guide. 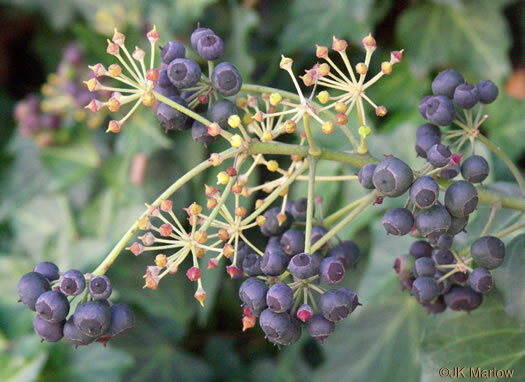 Fruit is a black to blue-black (dark gray) slightly bloomy berry-like drupe, per Manual of Woody Landscape Plants. 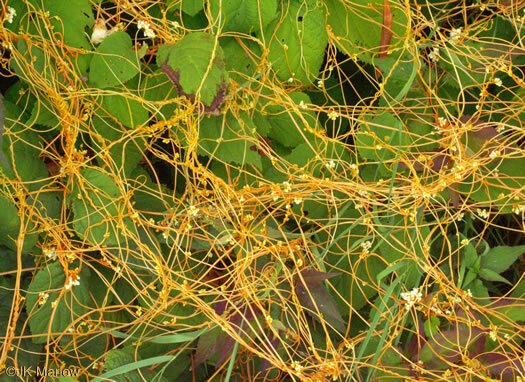 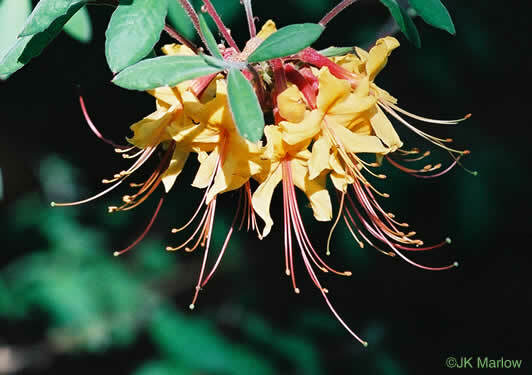 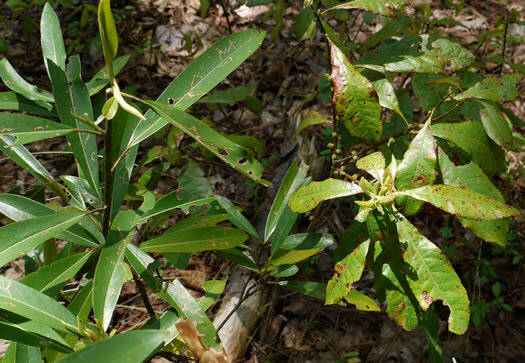 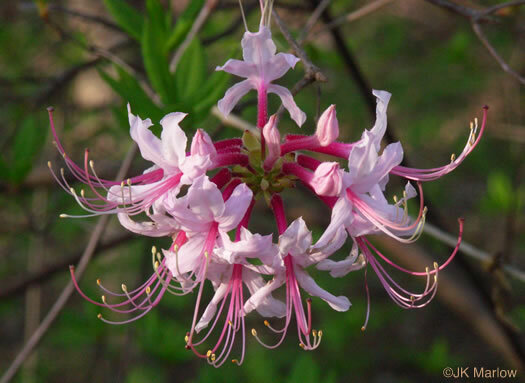 C. rostrata grows almost exclusively on blackberry vines, per Wildflowers of the Blue Ridge Parkway. 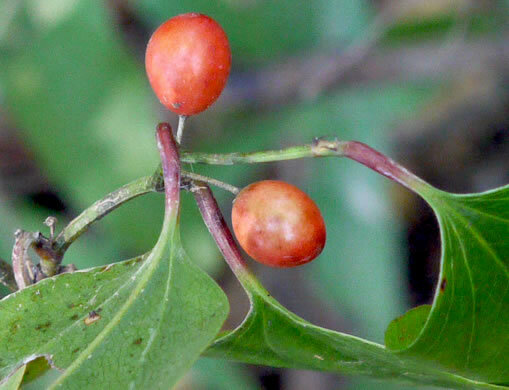 Berry enclosed in a paperlike sac derived from the expanded, united sepals, per Wildflowers of the Carolina Lowcountry. 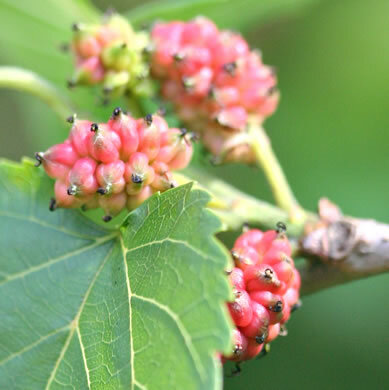 Your search found 69 image(s) illustrating the term "berry." 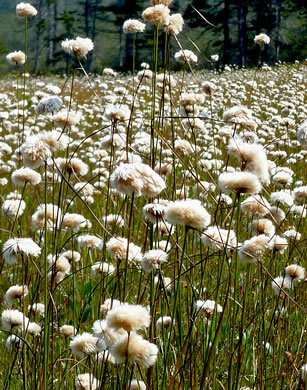 You are on page 1.